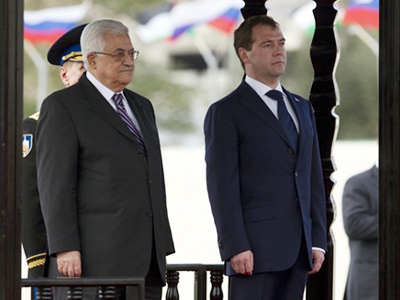 Political analyst Andrey Pravov talks about the impact that the Russian president’s visit to the Palestinian National Authority had on the world and who benefited from it. 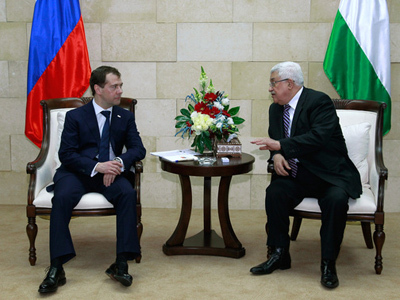 Dmitry Medvedev visited the Palestinian Autonomy without meeting with the Israeli side. He said Russia stood by the USSR’s decision in 1988 to recognize the Palestinian state. The Russian president reaffirmed Moscow’s support for Palestinian independence and for East Jerusalem as the Palestinian capital, and he condemned illegal settlement construction in the occupied territories. The visit was timed to coincide with the feast of Epiphany, which the Russian president celebrated in Jordan, at the place where Jesus was baptized. 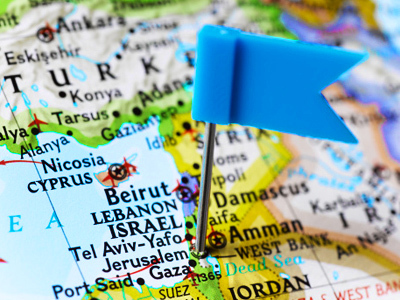 The visit to Israel was cancelled because of a strike by Israeli diplomats. Andrey Pravov is a political analyst and a journalist. For many years, he was chief of a news agency bureau in Israel, and later in Afghanistan and Pakistan. 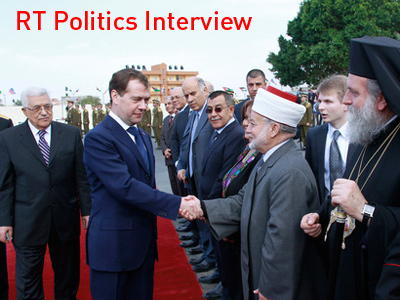 RT: What in your view was the point of Dmitry Medvedev’s visit to the Palestinian Autonomy? Andrey Pravov: President Medvedev made a very important statement. He said Russia recognized the Palestinian Autonomy’s right to have its own state with a capital in East Jerusalem. A similar statement was made in 1988, but not much happened after that. We never said clearly that we recognize the 1967 borders. Of course, the president did not say anything definite about the borders this time either, but the Palestinians are very happy with his statement nonetheless. RT: Why is it so important that Medvedev said the Palestinians are entitled to their own state? Wasn’t this right envisaged in the UN resolution of 1947? 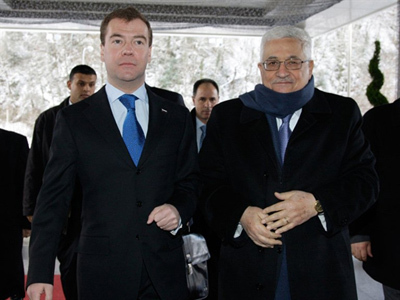 АP: The most important part is that Medvedev publicly endorsed the Palestinians’ right to East Jerusalem. This is an extremely important statement by the Russian president, as the Israelis think they can have Jerusalem as the indivisible capital of the Jewish state. RT: What’s your opinion – did Medvedev make these statements to spite Israel, where he didn’t go? АP: No, Russia doesn’t want any complications with Israel. The reason Medvedev didn’t go to Israel is because of the strike in the Israeli Foreign Ministry. The initial plan was for him to visit both the Palestinian Autonomy and Israel. He was supposed to have talks first in Tel Aviv, then in Jericho, then in Jordan. But then Medvedev changed his itinerary. He went to Jordan first because there is no airport in the West Bank. Then, without having any official meetings in Jordan, he went to the Palestinian Autonomy, to Jericho, and only after that he returned to Jordan to meet with King Abdullah in Amman. The route President Medvedev chose for his visit shows his priorities. RT: And who benefited from such a format for this visit? AP: I think Israel is a very weird nation if that’s the way they do things. Strikes really damage Israel’s national interests. When their garbage collectors go on strike, Tel Aviv is all littered with piles of garbage. When baggage handlers go on strike at an airport, no plane can load or unload its baggage. When customs officers go on strike, arriving passengers cannot leave the airport. When dock workers protest, ships cannot load or unload their cargo. Labor unions’ activities go against national interests. Israel calls it a great democracy. 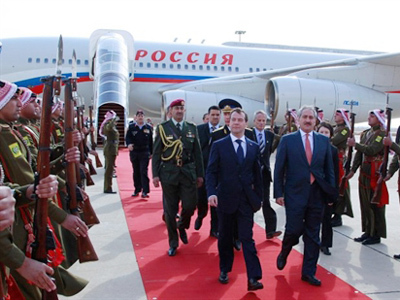 Eventually, of course, the Palestinians were the ones who benefited from the strike at the Foreign Ministry, because President Medvedev went to meet with them instead. RT: Did Russia benefit from it in any way? AP: Russia has demonstrated that it is taking its own line. 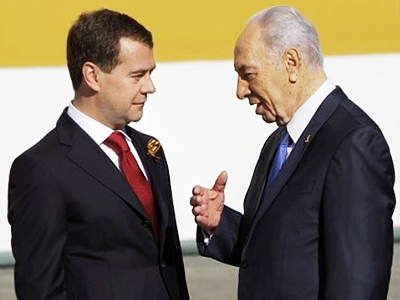 The Israeli president called Medvedev and did his best to explain the situation to him. Medvedev was puzzled, according to newspaper reports. The Russian Foreign Ministry and our embassy in Tel Aviv were even more perplexed. Eventually, the format of the visit was reconsidered, and the itinerary was changed. RT: Does Israel want to demonstrate something with its actions? 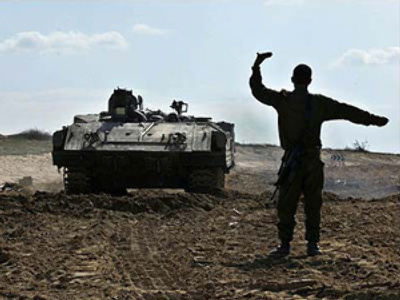 AP: Israel isn’t demonstrating anything. It’s diplomats who are demonstrating against their bosses and who don’t care about their country and their fellow-citizens. They have been protesting for a year now. Initially, they protested by wearing shorts and sandals to work, instead of business suits and ties. Then they declared they would no longer provide services and assistance to Israeli citizens abroad, even if the person is in trouble. Say, if a person has been attacked, or robbed, and hit by a car, embassy workers simply suggest that they talk to the Finance Ministry, because it refuses to raise their wages. RT: Are their wages so low that they have to protest for a year? AP: No, but they want a raise of about 30%. RT: What do you think is Russia’s role in the Middle East affairs? AP: Russia is better positioned than any other party involved in the Middle East settlement. It is the only political force that has contacts with everybody—with Fatah, Hamas and Israel. Other countries consider Hamas an extremist group, which limits the scope of what they can do. Russia, on the other hand, has very good relationships with all the parties involved in the political process. Russia remains the only country clearly interested in peace in the Middle East. 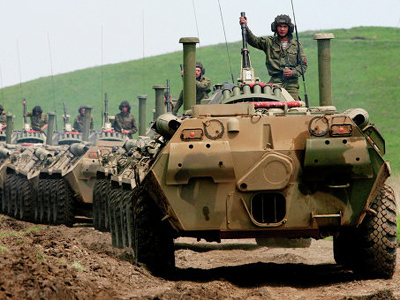 Russia is the only country that regularly suggests having talks with all the forces involved in the conflict. Russia has constructive contacts with Syria, Iran and Hezbollah, and all these forces have to be engaged in the talks if we want to achieve success. I repeat, Russia is the only one who has open and regular contacts with all the parties involved. RT: What about Medvedev’s statement condemning settlement construction in the occupied territories? AP: It is a very important statement. It is crucial that Medvedev condemned settlement construction. That was the stumbling block because of which the talks between Abbas and Netanyahu were broken off last September, when the moratorium on new settlement construction in the West Bank and East Jerusalem expired and Israel resumed large-scale construction projects. For example, the Israelis started building two residential areas in Gilo, East Jerusalem. The Palestinians are categorically against that, because they think East Jerusalem should become the capital of their future state. 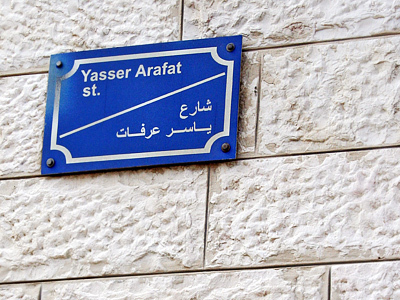 East Jerusalem was occupied in 1967. Israel annexed it but nobody in the world, except for a few nations, has recognized that. Most of the embassies are still in Tel Aviv. Talks cannot resume unless construction stops, and there can be no peace process without talks. Israeli Foreign Minister Avigdor Liberman claims it’s no longer that important to have as many talks as they had during the initial stage. He suggests signing some interim agreements for now. But the Palestinians wholly reject the idea of any interim agreements. There is also the issue of the refugees’ right to return and the issue of future borders. But whichever way you look at it, Medvedev’s clear position looks very good against the backdrop of this strike in the Israeli Foreign Ministry and Israel’s failure to cope with the situation. RT: But the US, too, is against settlement construction. What makes Russia’s position different then? AP: Russia is different in that it can visit and meet with all the parties involved in the process. It’s different in that, because of the way Israeli officials conduct themselves, Medvedev can visit the Palestinian Autonomy without going to Israel. With any other party in the Middle East Quartet, that would have been impossible. And diplomacy is the art of the possible. Russia, on the other hand, said clearly that it supported the Palestinians’ right to their own state with East Jerusalem as the capital and that construction in the occupied territories must stop. RT: So do you see any kind of message Russia is sending to the Islamic world? AP: The Islamic world should welcome such conduct by Russia. 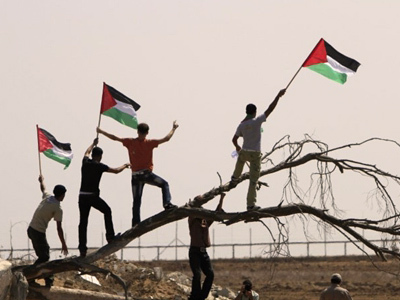 The Palestinian issue is one of the most important and painful ones for the entire Islamic world. RT: What do you think is the bottom line of President Medvedev’s visit? AP: Russia has demonstrated its support for the Palestinian people and has shown that it wants to find a fair solution to this problem, which is one of the oldest and most complicated conflicts in the world.